Caption - Central Railway (India) class D/1 4-8-0 no.709 is seen at Dhaulpur Junction in November 1978. 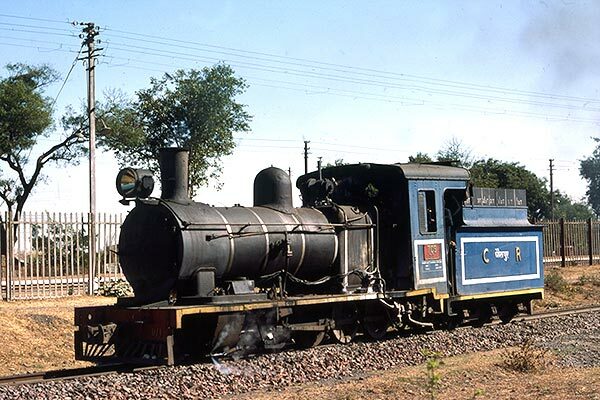 The 2-foot 6-inch gauge consisted of two branches to Tantipur and Sirmuttra with a total of eight locos allocated to the line including all three D/1 class locos. 709 was built by Hanomag in Germany (10490/1926) yet remains a very British looking loco.